Combine power of Mega-Debid.eu with convenience of Progressive Downloader. Download from more than a hundred of services with just one account. If you don’t have a premium account yet, please visit mega-debrid.eu to know more about the service. Already a premium member? 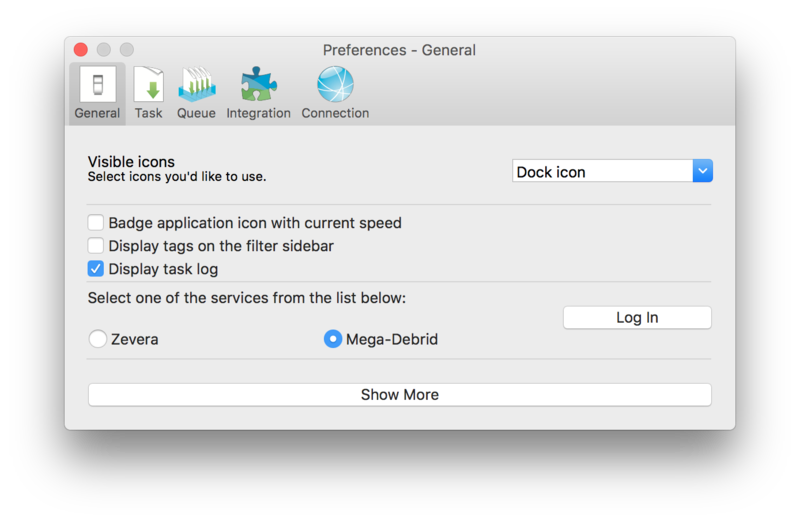 Launch Progressive Downloader and go straight to its properties, select Mega-Debrid and click the the Log In button. Click the button and enter your account credentials. Then click OK to chain the application with your Mega-Debid.eu account. Your account information will become available to the left of the Log Out button after successful login. Integration with Mega-Debid.eu is absolutely transparent. In order to download a file from a popular file host service such as uploaded.net just drag and drop a link onto Progressive Downloader Dock icon or its main window.